Yo, do you have a facebook page or something for the weeklies? I realize from the earliest post that their not up anymore at Evergreen, but those house weeklies seem fun! I'm a new smasher, and merely 15. Can I join the weeklies, wherever they are? no weeklies as of right now, but we might get a house weekly up and going soon. We have impromptu local smashfests ~weekly though. Are you still doing weeklies at Evergreen? I'm new to smash boards and trying to look for groups and tournaments to enter. I watched your guide on shellstalling in 3.5 (New to squirtle :/) and I am having a lot of trouble doing the hyrdopivot. I cant seem to do the pivot too well. Pivoting is just pressing the opposite direction right? And also any tips? The trouble people have is that when you flick the stick, you can only have it input the direction for 1 frame to get a pivot which will not stop him from sliding. Meaning that the control stick must cross from one side of the gate to the other then return to the neutral extremely quickly or you will not slide since you will have either dashed (held the stick against the gate for more than 1 frame) or cancelled all your slide movement by holding the opposite direction (the stick was in between neutral and the side of the gate after 1 frame). Ah I think I was either doing it too late or I was holding it in one direction for too long. Thanks for the tips, I am trying to somewhat understand squirtle before my tournament on saturday. Yo, you still working on that Classical music pack for P:M? yes, but I don't have much time during the school year, so it goes forward slowly. are they usually on fridays now? I don't have time to host them right now, work+school. Maybe soon or next quarter. Hey man, I saw that you tried to host a tourney in Olympia. I was wondering if you planned on trying to host another one in the future. May I ask where you got that great graphic in your signature? People are slowly starting to realize how canadian I am... Need to work on my american newscaster accent. Printing out flyers for the new olympia monthly tournament! do you have to have special privileges to create a group on smash boards? I clicked on the link you showed me, smashboards says i do not have permission to view that page. haha, that was misleading on my part. can you see those buttons? I would like to apologize to all the crazy theorists on the smash 4 forums, Phantom really was a zelda special, I was wrong. Olympia huh? Do you know a Joe Bahta or Rhys? if you friend lives in oly, tell him about our local smash group. 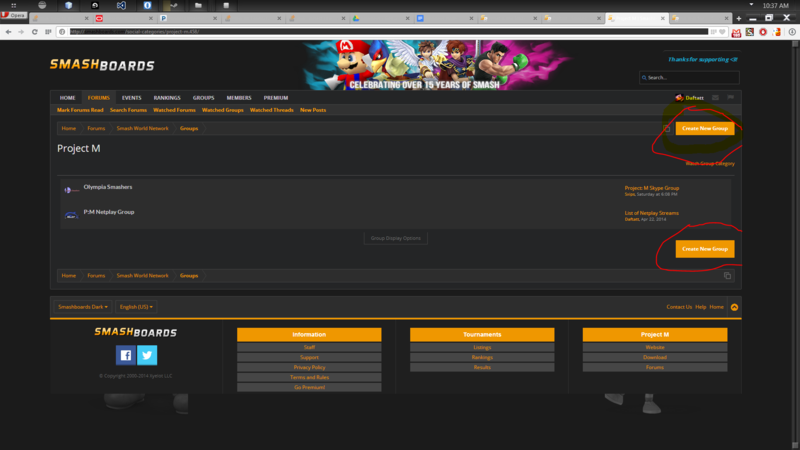 Project M has it's own forum, We're movin up in the world! This is Andrew. My phone number is 3604519976. You should text me tomorrow and let me know if i can bring my wii over to mod. I get off of work early at 2 PM. Hey, my number is 360-486-4537 I'm going to text you because I'm going to that tournament and I can give you a ride. I'm a total master hacker. Just learned that today. New avatar to go with my title, took me a few hours, but it came out great. ZSS has the sexiest backflip in existence. You wanna play sometime next week maybe?